Have you ever wondered how to advertise an electrical business online or offline? Starting your own electrical business can be extremely daunting. 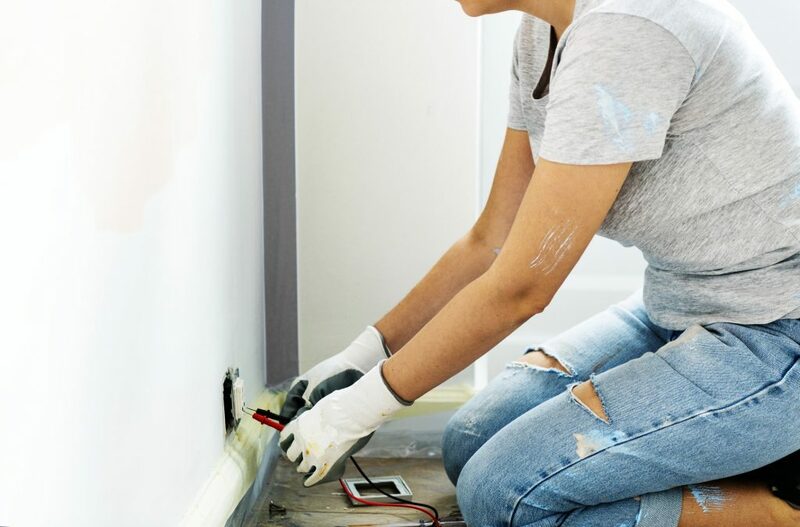 Our team have helped countless electricians advertise their electrical businesses and have seen some of the problems small electrical business owners face. The idea of juggling all of the day to day activities whilst figuring out how to actually grow and develop an electrical business is hard. We’re here to help you with some easy tips to advertise your electrical business. It’s hard to take the initial step when launching an electrical business. Knowing what to focus on and prioritise can be pretty tricky when starting out. What do you need to get started? How to I get electrical customers? Where shall I advertise my electrical company? What types of electrical services shall I provide? The list is endless. Most people use a quick Google search to find local electrical businesses. Getting a website designed for your electrical business doesn’t have to be expensive or confusing, it can be extremely simple and affordable. For example, our team focus on providing small business owners with affordable web design packages. However, it’s not as straight forward as just getting a website designed and putting it online. There is lots of competition online for electrical services and getting to the first page of Google takes time (but it’s not impossible by any means). As a small business owner, you can’t expect to compete with other electrical contractors in your area without a website. I guarantee 95% of your actual competition have professional websites that help them attract and retain customers. If you are thinking why do I need a website for my small business then you really do need to kick yourself into the real world fast. What do you need for a successful electrical business website? Firstly, you need to make sure that you pick the right web design company for your requirements. If you want to rank on the first page of Google then you need to make sure your site has up to date SEO in place. Be wary of web designers who try and sell the world for £100. It takes years of experience to develop the skills to rank websites on the first page of Google. For example, we give our potential customers real life client websites where they can see the exact Google ranking. This helps build trust and demonstrate our skills effectively. Secondly, make sure your chosen web design company is clued up on the electrical industry and what people want to see when searching for electrical services online. Your web designer should write good quality content based around your keywords (e.g. “electricians in London” or “electricians in Bristol”). Thirdly, make sure your web design company create an incredible portfolio displaying high quality pictures of previous works. If you have any accreditations such as NICEIC then it would be worth listing these too. This will make you appear more authoritative and professional to potential customers. TIP: Here’s a great article I wrote teaching small business owners how to rank your small business website on Google. Everyone nowadays is talking about social media. Small business owners have benefited from the use of social media, but can it help you advertise your electrical business? Yes. Of course it can. However, it’s not easy to gain traction on social media platforms such as Facebook, Twitter, LinkedIn, etc. Also, you need to be prepared to invest quite a lot of time into setting up social media campaigns and publishing high quality content. How can social media help advertise my electrical business? I’ve written an article already on PPC advertising for small businesses and does it actually work? If you are asking yourself what PPC advertising is then you’ll want to do all the research you can on it. PPC advertising is a term used to describe what’s called ‘pay per click’ advertising. In theory, you create an advert “ABC Electrical – Providing Households In London With Affordable Electrical Repairs” and then pay for when somebody (a potential customer) clicks on your advert. This strategy is extremely beneficial if you want quick results and instant leads, but it can be extremely expensive if wrongly executed. If you are unsure then contact our team to help you set up a PPC campaign. Everybody loves a sweetheart. As corny as that sounds you shouldn’t think lightly on it. People love other people who are polite, friendly and respect their home as if it was their own. Give people a reason to want to call you back. For example, one of our web design client who owns an electrical business was getting frustrated he rarely received calls from existing customers. We told him that next time he went around to a customers house he should give them a bottle of wine to say thank you for using his electrical services. GUESS WHAT? Within 2 months he had received 6 new customers from that one client. A bottle of nice wine or beer costs £6/£9. There’s no excuse for you not to be doing this. People won’t forget it and will recommend you to their family and friends. Again I’ve written a great separate article on flyer drops and how they can help advertise your small business to a local community. It’s available to read here. I explain everything is the article but i’ll put some of the key points in here for you. The first thing you have to do is figure out exactly who your target audience is. Are they 60+ year olds? 24-30 young home owners? Once you’ve figured this out you can start designing your flyer based around your target audience. After you’ve done this you NEED to think what you want to achieve with your flyer. Is it more sales you want? Brand awareness? Special offers / discounts on your electrical services? Again, tailor your flyer around your requirements and you’ll see steady results long term (especially if you direct people towards your business website). (TIP: It’s okay to go fairly cheap on your flyers, but you don’t want it looking tacky. Our team of designers have helped over 250+ small business owners with affordable graphic design, such as logos, letter heads, business cards, flyers, etc). I know there’s probably another 50 points I could make here answering your question “how to advertise my electrical business?” but to be perfectly honest, you can’t do 50 things at once well. It’s much better to learn 2-3 forms of advertising, figure out how it works and then ramp the advertising budget up once you do. Test multiple adverts and strategies before investing £100’s. I’ve read articles where some companies have literally gone through thousands of different adverts before finding one which works. If you are still unsure and asking how to advertise my electrical business, then please read through the article again and read the other posts I have written. There’s tonnes of good quality information that is relevant for advertising your electrical business. However, if you want some help with setting up any form of advertising, from websites to business card designs, you can contact us.